Average student credit card rate: 16.67 percent. Average business credit card rate (non-reward): 14.91 percent. Perhaps it was just a matter of time. Non-reward business credit cards, whose rates had remained unchanged longer than any of the other of categories listed above, finally rose in early May. Besides being the year's first rate change in either business category, the rise in non-reward business card rates is also worth noting because it means the cheapest rates on the credit card market are edging upward. Indeed, credit card rates for both business and consumer non-reward cards are up slightly this year, while rates for their reward counterparts have stayed the same or gotten cheaper. Rates on non-reward cards are typically lower than those for reward card offers, so the challenge for people interested in simply finding the card with the lowest rate has gotten more difficult with the increases in non-reward cards. At the same time, the increases have been slight, and have not affected most cards in either category. So, the message for credit card customers is to shop carefully and check back often - not all cards are holding the line on rates. Following some up-and-down fluctuations in late March and early April, consumer credit card offers have returned to stability over the past month. Overall, consumer credit card rates remain at an average of 16.82 percent, with non-reward consumer cards averaging 15.27 percent, and consumer reward cards averaging 17.48 percent. An important aspect of shopping carefully when comparing credit card offers is knowing the effect of credit history on the rate being offered. For example, the average rate for consumers with excellent credit is more than 4 percent lower than the overall rate for consumer cards. On some card offers, there is as much as a 12 percent difference between the rates for the highest and lowest credit tiers. An eye-catching low rate is likely intended for those with exemplary credit. Non-reward business credit card rates rose by 0.19 percent in early May, bringing them to an average of 14.91 percent. This is still the lowest average for any of the categories of credit cards. Business reward credit cards remained at an average of 16.21 percent. Prior to the recent increase, non-reward business credit card rates had been a model of stability. The last change for these rates occurred in early October. Business reward credit cards now have the longest unchanged streak of any category, having last changed in early November. 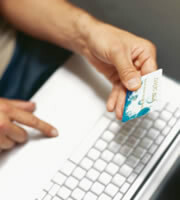 Student credit card offers held steady in early May, with the average rate for these cards remaining at 16.67 percent. However, this is still the category which has exhibited the most change so far in 2011, with rates rising by a net total of 0.44 percent since the beginning of the year. Since there was no change in consumer credit card offers since the last survey, the spread between credit card rates for customers with excellent credit and those for customers with average credit remained the same, at 4.03 percent. However, as noted above in the previous section on consumer credit card rates, rate differentials among credit tiers can be significantly greater than that for specific credit card offers. In total, IndexCreditCards.com surveys information from some 50 different credit cards, and includes multiple credit-rating tiers from many of those cards. Examples of institutions surveyed include Bank of America, HSBC, Citi, American Express, and Capital One. The information compiled not only demonstrates trends in credit card rates over time, but also indicates the different values credit card companies put on different target markets (consumer, business, etc. ), as evidenced by the differences between rates for those markets. 0 Responses to "Business credit card rates rise for the first time in six months"